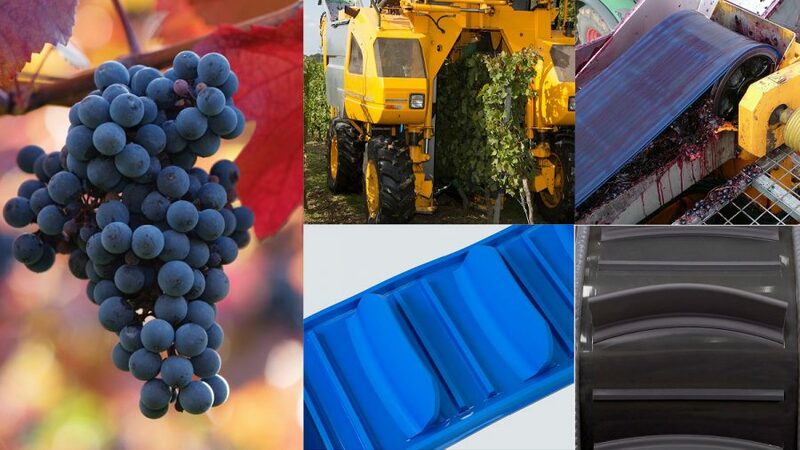 Our grape harvesting conveyor belts help you to reduce maintenance and production costs. The conveyor belt for the grape harvesting industry works under tough conditions receiving scratches, tears, hits from the grape vine. Belt performance is jeopardized when longitudinal profiles detach or transverse cleats break or the belt joints give way. We offer you a complete solution with our grape harvesting belts, designed to last through various harvesting seasons.